Ah, Paris. The City of Light is without a doubt one of the crown jewels of the world, a beautiful city with a history to match and a mystique like nowhere else on Earth. You name it, Paris has it. Historic sites? Try the Eiffel Tower and Notre Dame. Fine dining and nightlife? Paris is home to some of the best restaurants in the world—and that’s not even counting the legendary Cordon Bleu, arguably the most famous culinary school in the word. Art and culture? Try the Palais Garnier, Musée National d’Art Moderne, Musée d’Orsay, and of course a little place called the Louvre. Paris is one of the great tourist destinations in the world. Here are a few tips and tricks to help you travel to and within Paris in style. First thing’s first—before you take in the glories of the Louvre or the Arc de Triomphe, you first need to get to Paris, and for most of the world that means flying into the City of Light. Paris is, naturally, one of Europe’s most travelled air transit hubs, meaning you’ll have no shortage of choices when it comes to finding flights in and out of the city. That said, all that choice makes it all the more important to choose the right flight for you. There are many different variables to consider here, from cost to whether or not it’s a direct flight to the reputation of the airline itself. You’ll also want to be on the lookout for discounts and deals during peak travel seasons throughout the year, especially during the winter holidays. In addition, you’ll want to keep an eye out for services which can offer such deals year round—for example, you can find great flights to Paris from various destinations with BMI. Bicycles and Paris go together like “A Bicycle Built for Two.” If you love the idea of biking your way through a beautiful metropolitan city, then step into the light, friends—the City of Light is arguably the bicyclist capital of Europe. Biking is one of the quickest and most effective ways to get around the city, to say nothing of the undeniable style and fitness points gained by cycling past the Seine and through the streets of Paris. Biking is just one of many great ways to get around Paris. In addition, Paris has one of the best metro systems in the whole of Europe, with over a dozen different lines. That said, so many lines can lead to a bit of confusion for first-timers, so be sure to map everything out ahead of time if you’re new to the city. After you’ve flown in and before you bike about, you’ll want to check into a quality hotel in Paris. Checking in online can save you a great deal of time, allowing you to get out there and enjoy your Parisian vacation as quick as possible, so be sure to check travel websites that allow you to book and register online. 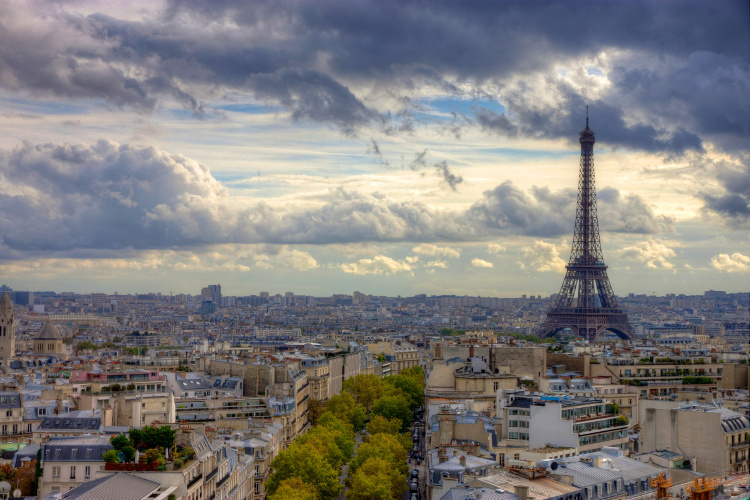 Finally, location is everything, especially in a city so full of great locales, so look for hotels which are located close to public transit hubs, great restaurants and nightlife spots, and of course some of Paris’s most famous landmarks. Visit Paris When It Sizzles with a well-planned trip including flight and hotel reservations today.